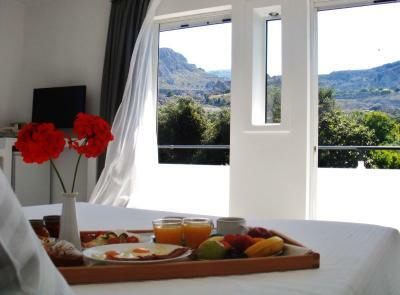 Lock in a great price for Blugreen Stegna B&B (ex Panorama) – rated 9.6 by recent guests! The room was very comfortable and very clean. The hosts are very polite and helpful. The breakfast is OK.
Room was big and fully equipped with a small kitchen (fridge, fires, stoves, coffe machine), jacuzzi and most importantly powerful A/C. 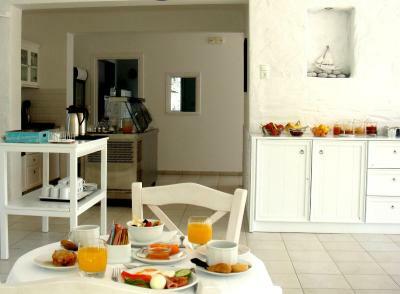 Breakfast was able to serve all your tastes (salty or sweet) with an excellent friendliness of the staff. The place is very comfortable, welcoming, quiet and out of the chaos. It is surrounded by the green and it also features a pretty enjoyable little garden filled with local plants. Our room was large and comfortable, fully equipped with all necessary stuff. 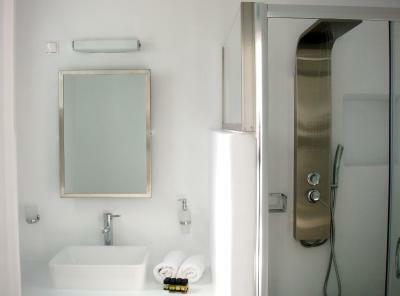 Common areas and rooms are super clean and tidy. Owner and staff are very kind and helpful. Very good price-quality ratio! This was a good quality, modern unit with good internal space for a couple. Having external access to a balcony as well as a roof top space provides additional living area. The balcony also doubled as an efficient drying area for our hand washing. Stegna Beach was a short walk down a quiet lane and while it was hot walking, the beach provided welcome relief at one end, while the unit had efficient air conditioning providing relief from the heat. The serenity of the place, the staff: serenitis and poppi, warm and good people that took care of every thing we needed and beyond! The room was super clean and the breakfast was very good with a different treat each morning. The location is also very good! 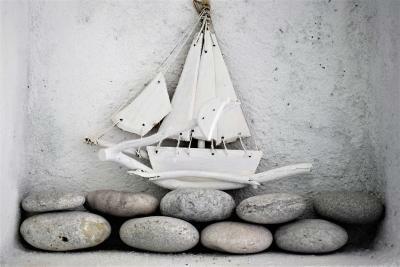 Not far from the beach and the best fish restaurants in Rhodos. 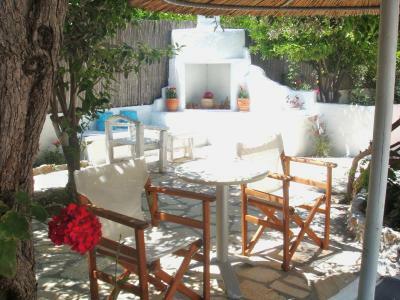 Friendly environment and very warm .... Amazing garden... It was like to be home.. The mattress very relaxing... I want to say thanks to the team that make my vacations relaxing... I felt like to be at home... Thank you for that..!! My husband and I had a wonderful 4 days at Blugreen B&B. Our room beautiful/very clean and the staff great. We were close to a lovely sandy beach and taverns. 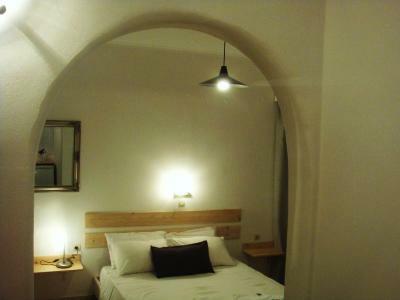 Bluegreen in Stegna is a hotel I would definitely recommend for a visit. 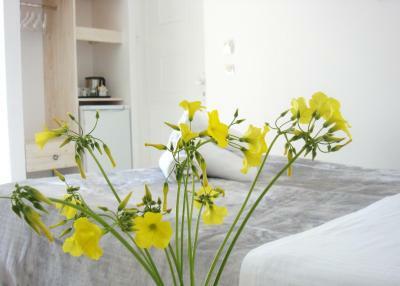 The staff is very friendly, the rooms are well equiped and clean. The village of Stegna is also a good choice if you want to be away from big hotels and tourist crowds. It offers a good choice of restaurants with delicious food. 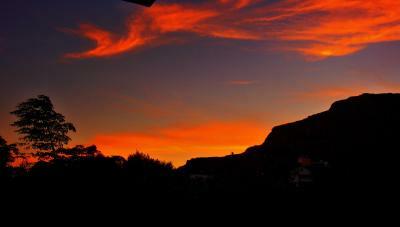 All the important sights of Rhodos can be reached within 30-40 minutes. 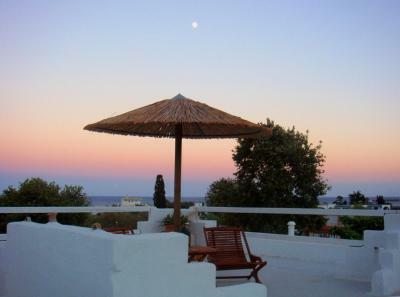 Blugreen Stegna B&B is located in the picturesque seaside village of Stegna. 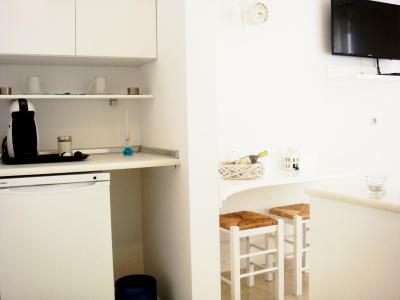 It offers comfortable accommodations with free wireless internet access and free private parking, just 800 feet from the beach. 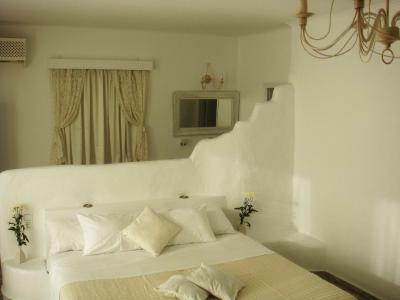 This B&B offers a variety of air-conditioned and individually designed suites and rooms with a balcony and a fridge. 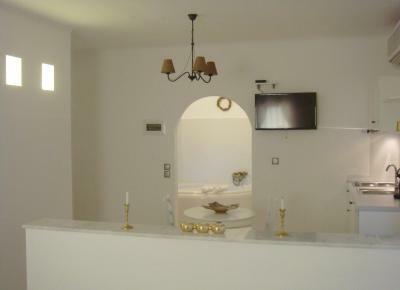 There is also a flat-screen TV and a safety deposit box. 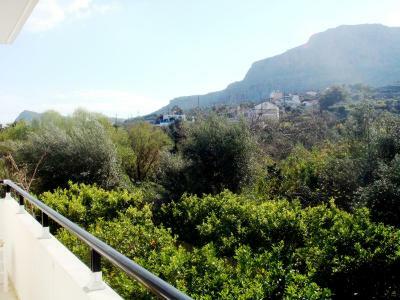 Some units offer panoramic sea and mountain views from their furnished roof terrace. 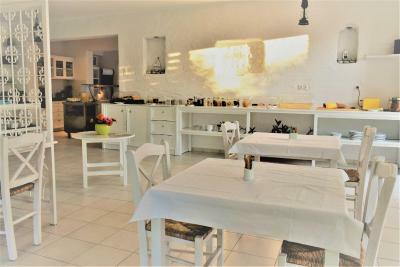 Guests can enjoy a buffet breakfast with local and homemade products daily. Breakfast may also be served in the privacy of their room, upon request. Private dinners can also be organized upon request. 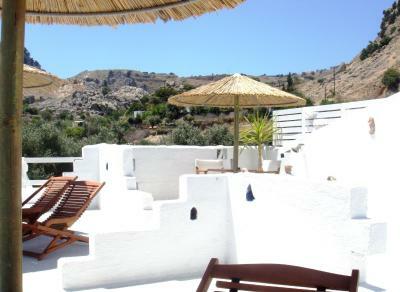 The property's strategic location between Lindos and Rhodes, allowing easy access to both. 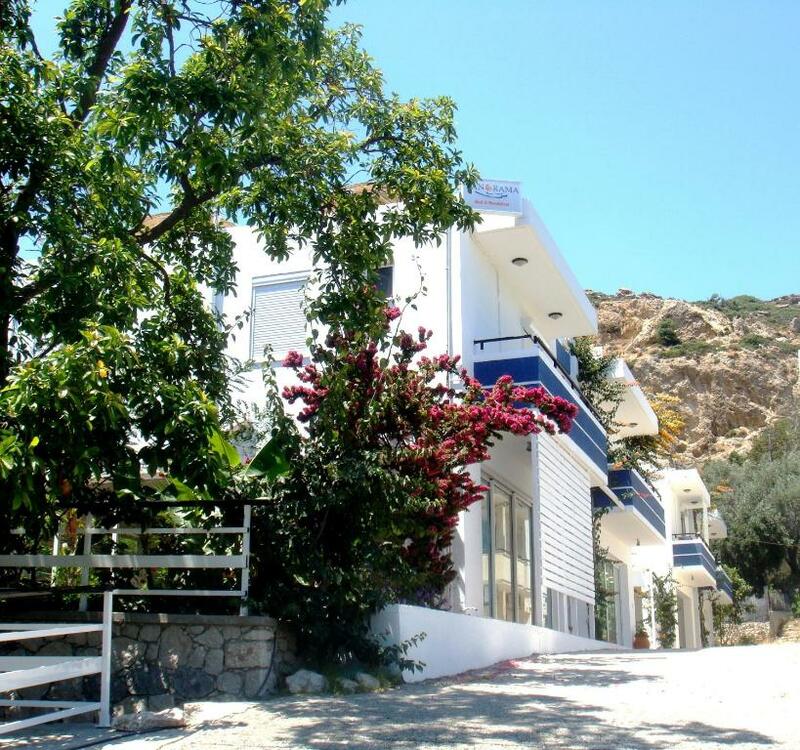 There are a variety of restaurants, cafés and bars surrounding Blugreen Stegna B&B, while water sports are available at the nearby beach. 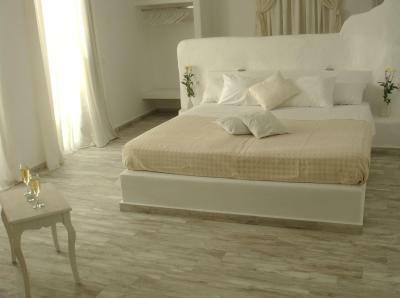 When would you like to stay at Blugreen Stegna B&B (ex Panorama)? 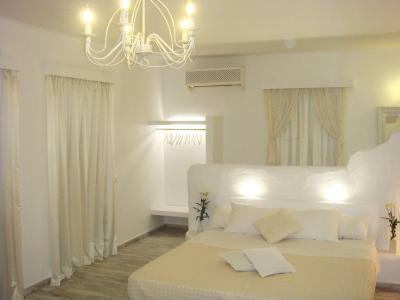 This elegantly decorated room features air conditioning, LED TV with satellite channels, fridge and coffee maker. 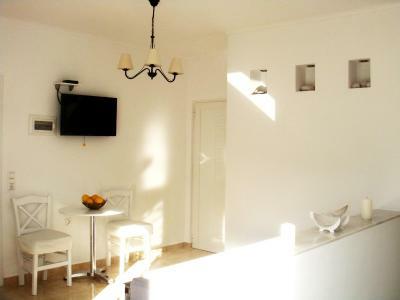 Free WiFi and cable internet access are available. 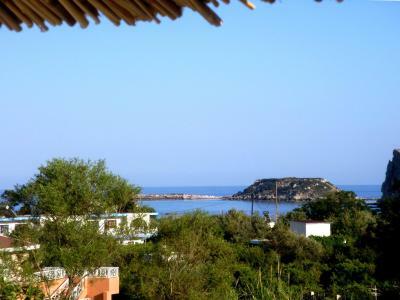 A communal terrace on the rooftop with a designated furnished area and panoramic sea views is available. 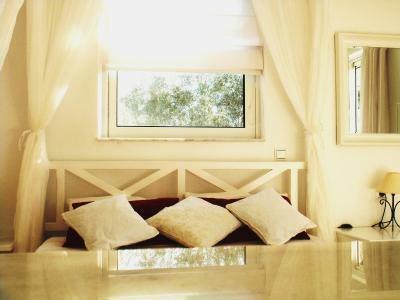 Please note that this room does not overlook the sea from its balcony. 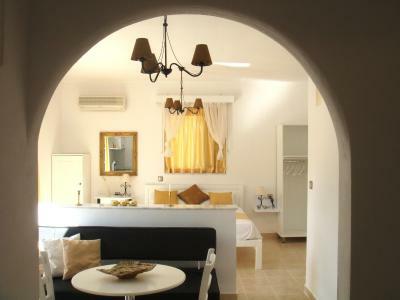 Spacious suite offering open-plan sleeping and living area. 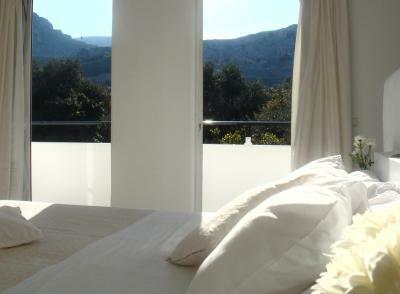 It includes free WiFi, and a balcony with unobstructed garden and mountain view. 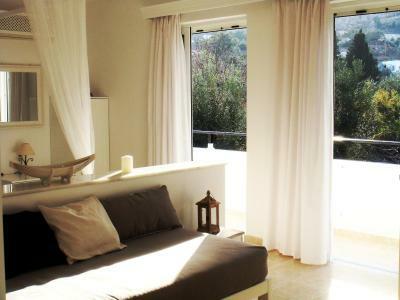 It includes a spa bath and a designated furnished area on the roof offering panoramic sea views. 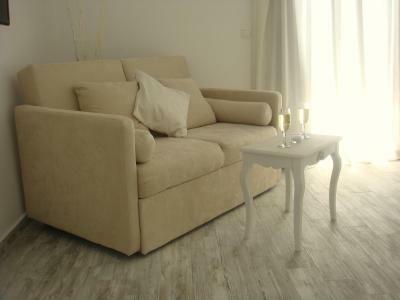 A spacious suite with elegant decoration. 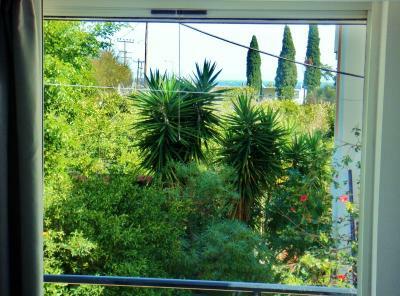 It offers unobstructed garden and mountain views from its balcony. 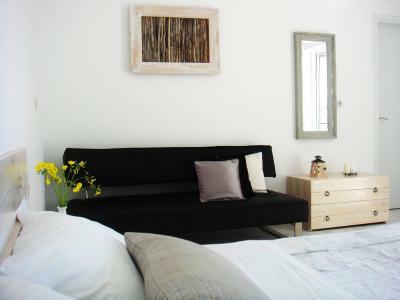 Recently renovated, this b&b offers boutique suites and rooms. Each one has a unique design that combines elements of traditional architecture and local art with modern facilities and amenities. 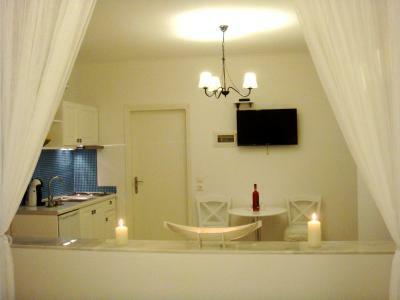 The serene and idyllic atmosphere created is Ideal for couples and honeymooners. 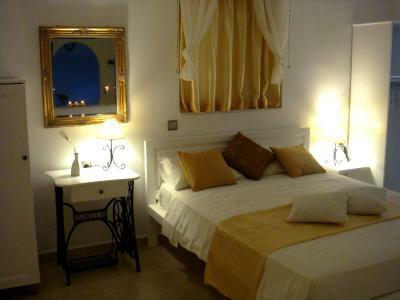 House Rules Blugreen Stegna B&B (ex Panorama) takes special requests – add in the next step! 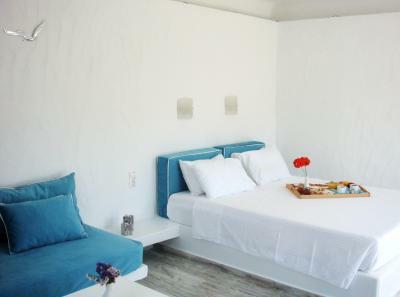 Blugreen Stegna B&amp;B (ex Panorama) accepts these cards and reserves the right to temporarily hold an amount prior to arrival. 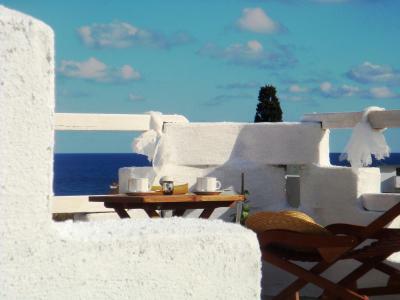 Blugreen Stegna B&B (ex Panorama) accepts these cards and reserves the right to temporarily hold an amount prior to arrival. Kindly note that the property is not suitable for children under 12 years old due to the building structure. Please inform Blugreen Stegna B&B (ex Panorama) of your expected arrival time in advance. You can use the Special Requests box when booking, or contact the property directly using the contact details in your confirmation. Time limit for breakfast at 10:00 am is a bit stressful when people are vacationing. 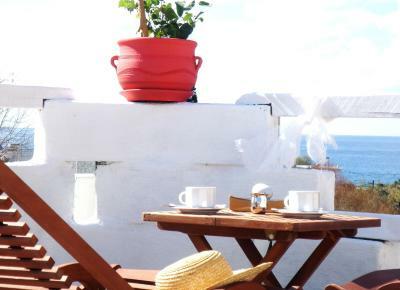 We would have loved to enjoy some more time to relax before our cappuccinos like we did in other B&Bs around the islands. The place is a bit secluded within the bush. Even though this does not makes it uncomfortable in general (it is only a few minutes away by walking from the main Stegna road), it may feel quite spooky at night for female tourists travelling solo. 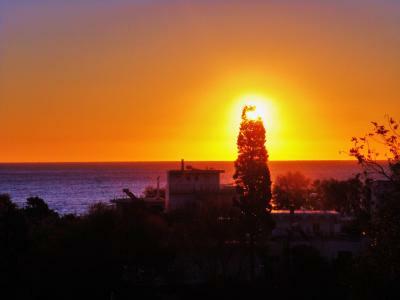 While the distance to walk to the beach and shops was not far, during the heat of the day, this was an unenviable task. Apart from that all OK. 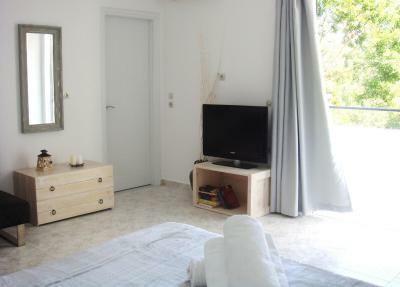 There was nothing about our accommodation and area that we did not like. We didn't like the fact that we needed to leave....:) Everything was perfect! 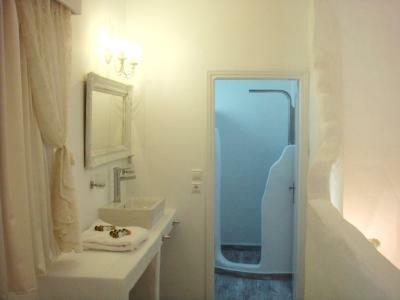 The small shower cubicle with shower curtain and poor shower-head didn't quite match up to the rest of the quality. We were in a spa suite only to get the extra bed and didn't use the spa bath so would rather have had a great shower, but it was adequate with reliable hot water supply and it wouldn't put us off returning to this delightful place. 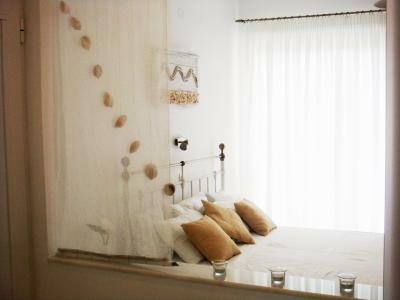 This is a very welcoming and relaxing B&B in a quiet street only a few minutes walk from the beach. It is very comfortable and clean. The hosts are lovely and they kindly waited up very late for our delayed flight. 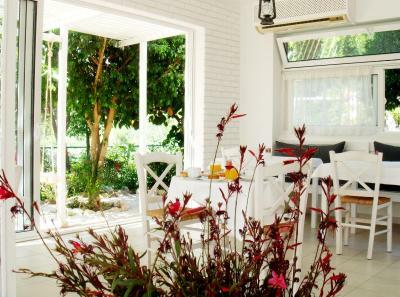 The breakfast room is light and airy, surrounded by beautiful gardens. 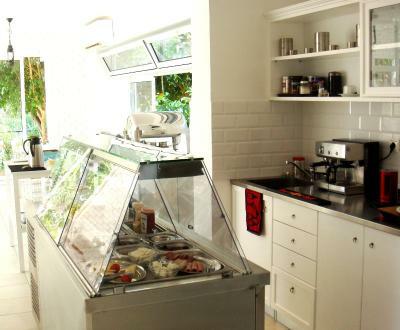 There's a good choice for breakfast and a lovely touch is the daily treat home-cooked by Popi. We were very happy with our choice to stay here. Lovely quiet location, good for couples and do young children. 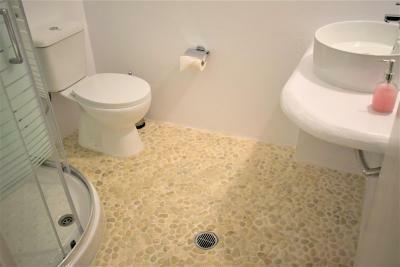 Pleasant room,good shower, air conditioning. Unexpected roof terrace as well as balcony. Good breakfast with a little treat each morning. Sarantis, the owner, very welcoming and helpful. We stayed at Bluegreen for 5 days, our room was immaculately clean, crisp white bed linen and super comfortable bed. We had a lovely view overlooking the gardens which was an absolute delight. Breakfast was a joy, such a large choice that would suit all. Popi was lovely, and would offer us some special treat that she had prepared herself on a daily basis. And lastly Sarantis, what an absolute star - so extremely helpful and definately went the extra mile to help us. Would highly recommend Bluegreen, you will not be disappointed. There was nothing we didn't like! Thank you very much Sarantis and Popi! Especially for the gluten free bread and treats. Wonderful b&b! Lovely setting up a little lane in the quieter part of Stegna. 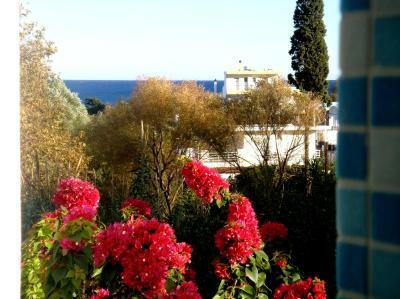 Beautiful little well maintained garden with fruit trees and flowers. Very friendly owners who were so kind providing me with gluten free options every day (including some really delicious home baked treats!). Fantastic breakfasts :) Our room (classic double) was a good size and wonderfully clean. Everything felt new. 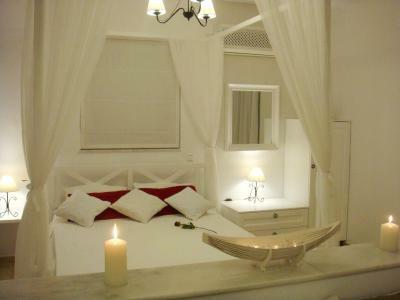 The bed was very comfortable as much softer than the usual Greek style. It would be a nice place for a honeymoon. We can't wait to come back!